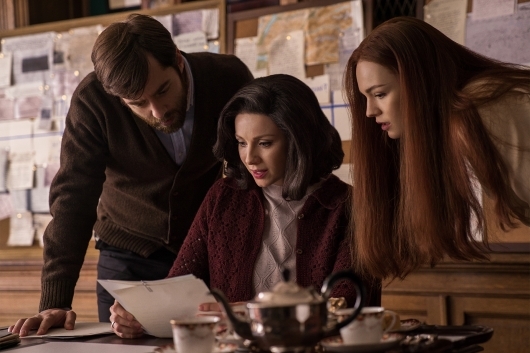 Last week on Outlander, Roger (Richard Rankin) and Brianna (Sophie Skelton) grew closer as the trail to Jamie grew hotter then hit a dead end. Claire (Caitriona Balfe) gave up and went back to Boston, a sad Brianna in tow. In the past, Jamie went to work for the Dunsany family where the youngest daughter blackmailed him into taking her virginity before she married an old man. It was eventually found out and Jamie (Sam Heughan) saved the baby, his baby, from being killed by the crazed old man. He stayed on to be near the boy, leaving only when the resemblance could no longer be hidden. He asked Lord John Grey (David Berry) to take care of his boy, who considered it an honor, and went back home to Lallybroch. 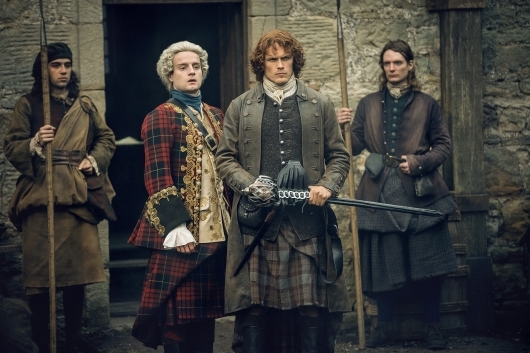 Last week on Outlander, Lord John Grey (David Berry) arrived at Ardsmuir prison, where Jamie (Sam Heughan) was held, the leader of the prisoners. He attempted to connect, rebuffed at first, but Jamie agreed to occasional meetings to better the conditions for the men, especially Murtagh (Duncan Lacroix). When a sick man came spouting words of gold and the “white witch,” Jamie ran away to see what was what. Grey showed affection to Jamie, who shut it down. Lord Grey set Jamie free (of sorts) to work for a family under an assumed name. Claire and Frank (Caitriona Balfe, Tobias Menzies) no longer pretended to have a marriage, but when Frank’s mistress accidentally showed up too early during Claire’s graduation party, they fought. Once Brianna (Sophie Skelton) graduated high school, Frank asked Claire for a divorce and said he thought Brianna would go with him. Frank died in a car accident and Claire said goodbye. Last time on Outlander, Jamie (Sam Heughan) was a wild man living in a cave near Lallybroch while his family covered for him. He grunted more than he spoke. The British harassed them often. The soldiers cut off Fergus’s (Romann Berrux) hand after he taunted them into chasing him. Jamie saved Fergus and finally allowed himself to feel emotion at all he had lost. Jamie decided to have Jenny (Laura Donnelly) turn him in to stop the madness. They took him away. Claire and Frank (Caitriona Balfe, Tobias Menzies) navigated their tension filled marriage, Frank knowing Claire thought of Jamie when they were intimate. The only real bonding occurred over baby Brianna. Claire went to her first day in medical school and faced resentment and anger from the white males. The only kindness was extended from the only black male in her class. Warning! Spoilers below for the season 3 premiere of Outlander! Outlander has finally returned! Starz’s sweeping time-traveling historical romance based on the series of novels by Diana Galbadon returned last night with “The Battle Joined.” This season is based on Gabaldon’s 3rd novel, Voyager, which is supposed to reunite husband and wife, Jamie (Sam Heughan) and Claire Randall Fraser (or rather, Claire Randall Fraser Randall Fraser played by Caitriona Balfe), after he pushed her back to the 1940s and to 1st husband Frank Randall (Tobias Menzies). 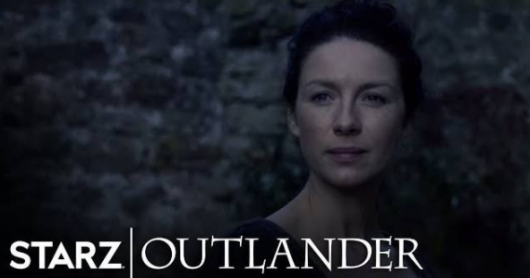 Today, Starz revealed the return date for Outlander, their highly-acclaimed time-traveling romantic adventure, based on Diana Gabaldon‘s epic series. 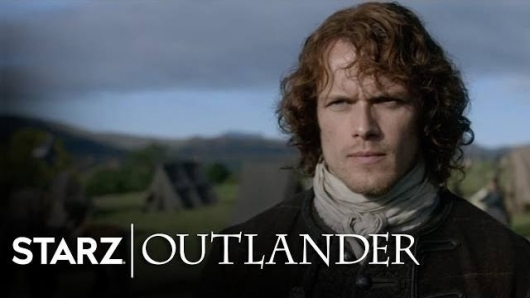 Starring the incredible trio of Sam Heughan as James Alexander Malcolm MacKenzie Fraser, Caitriona Balfe as his wife Claire Randall Fraser, and Tobias Menzies as HER husband (I know), Frank Randall, as well as their nemesis Black Jack Randall, the 3rd season will premiere Sunday, September 10th at 8:00pm ET. Check out the photos, SDCC info, synopsis (and a few season 2 spoilers) below. Two weeks ago on Outlander, Jonathan Randall and Mary Hawkins (Tobias Menzies and Rosie Day) married as Alex Randall’s (Laurence Dobiesz) dying wish, then BlackJack furiously punched his brother’s corpse. 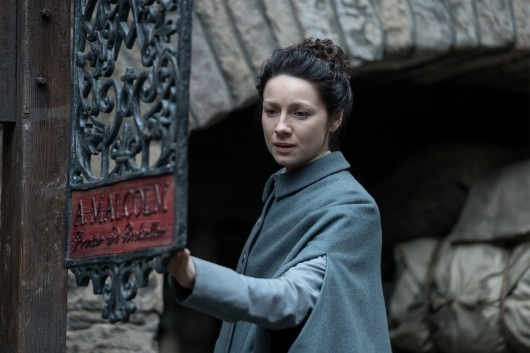 Colum (Gary Lewis) came to the war to name Jamie (Sam Heughan) Laird McKenzie before killing himself with poison that Claire (Caitriona Balfe) reluctantly gave him. Dougal (Graham McTavish) was a mess. Jamie made a last ditch effort to avoid the Battle of Culloden, to no avail. And now… what we have all been waiting for. Warning! Spoilers for the season finale of Outlander below. Last week on Outlander, Claire (Caitriona Balfe) had severe WWII flashbacks in the midst of prepping the army, who are sorely in need of training. When she finally talked about it with Jamie (Sam Heughan), she felt a bit better, but war is ugly no matter who wins. 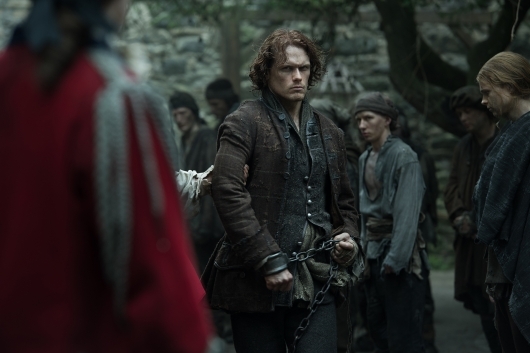 One of the most pivotal moments in the books happened last week, as a young (John) William Grey was captured and spilled all for fear of Claire’s “honor.” Jamie spared him and he is now in his debt. Dougal (Graham McTavish) arrived at the camp with his men, and was really proud of Jamie for joining the cause. Of course, Dougal got in trouble often because he is Dougal. Jamie took a whipping and thus was an example of a true leader. Last week on Outlander, Claire and Jamie Fraser (Caitriona Balfe, Sam Heughan) were back in Lallybroch, along with Fergus and Murtagh (Romann Berrux, Duncan Lacroix), after Paris broke them. Being with Jenny and Ian (Laura Donnelly, Steven Cree) and the kids started to heal them. Bad news followed as Prince Charles sent a missive that declares his father the rightful king, and he forged Jamie’s signature. 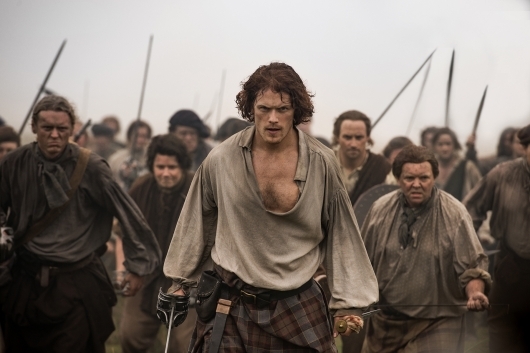 The Frasers decided if “they can’t beat em, join em,” to hopefully turn the future defeat and massacre into victory. They tried to get his grandfather, “the fox,” to join, but he was clever and managed to play both sides through his son. Laoghaire (Nell Hudson) tried to make amends. 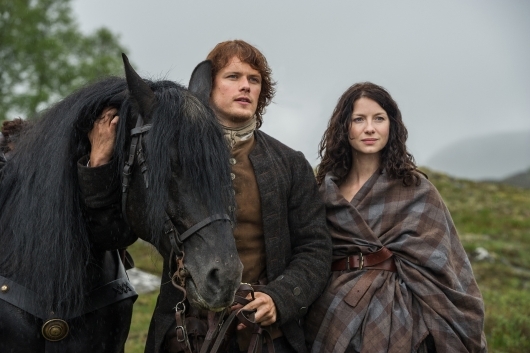 ‘Outlander’ Renewed For 2 More Seasons! 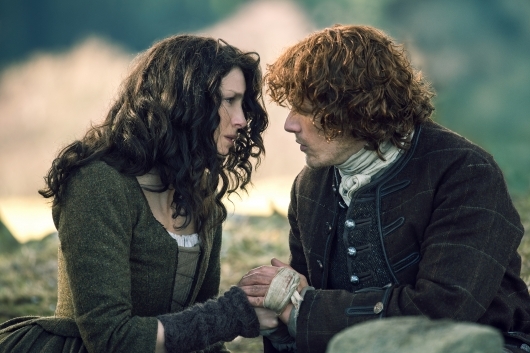 Looks like Starz will “Sing me a song of a lass that is gone,” for a little while longer. Outlander, the time-traveling romantic adventure series based on the novels of Diana Gabaldon, has been renewed for 2 more seasons. 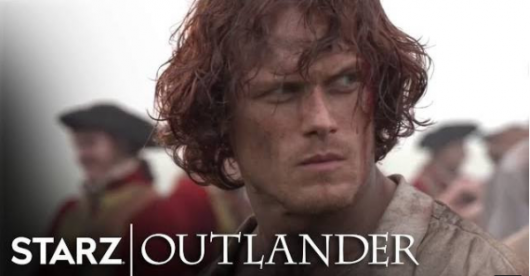 The popular series, starring Caitriona Balfe and Sam Heughan as Claire and Jamie Fraser, and Tobias Menzies as Frank/Blackjack Randall will return for season 3 and season 4. Check out Starz’s press release below.